Former Defense Minister Moshe Ya'alon slams Maj. Gen. Yair Golan for criticizing Minister Bennett. 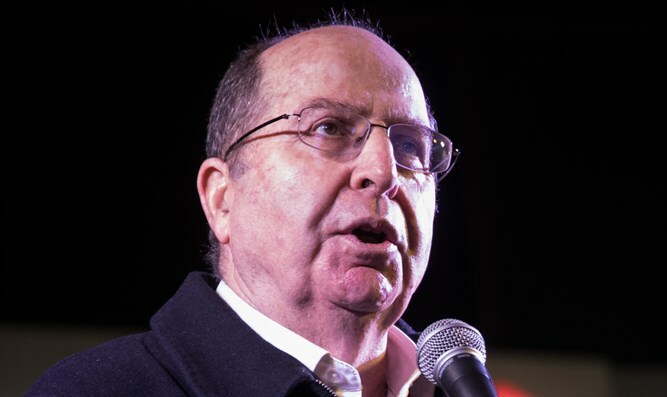 Former Defense Minister Moshe Ya'alon on Thursday attacked Maj. Gen. Yair Golan's statement against Minister of Education Naftali Bennett. "Major General Yair Golan should be called to order. It is not right that an officer who is still serving, and has not finished the cooling-off period, will attack an incumbent politician - whether his claims are justified or not," Ya'alon said. Golan, the former deputy chief of staff who is on a "release leave" but is still considered a uniformed figure, earlier condemned the remarks of the chairman of the Jewish Home against the military advocate general. "The legal issue has never limited the IDF's ability to act. Sharon Afek is a man with an extraordinary operational sense and a brilliant jurist. The Military Advocate General's Office is a strong body that does not prevent commanders from acting in the field," Golan said. "Minister Naftali Bennett weakens the army and the State of Israel. It's a shame he expressed himself as he did, maybe it's good for his electoral. It's very sad," added the retiring general. Education Minister Bennett responded to Golan's remarks and said, "The only thing that should interest us all is that Israel return forever. That our enemies will once again be afraid to send 530 rockets to Israeli citizens."